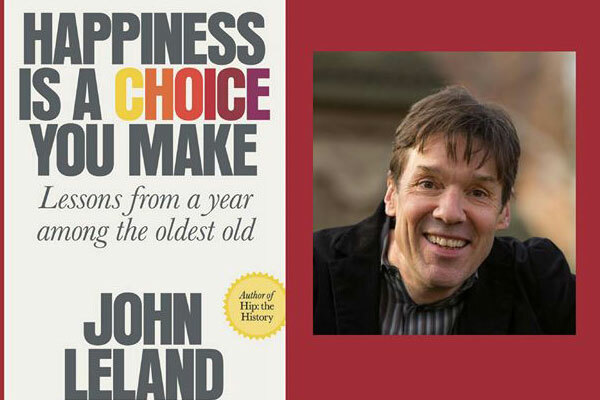 JOHN LELAND is a reporter at The New York Times, where he wrote a yearlong series that became the basis for New York Times Best Seller Happiness Is a Choice You Make, and the author of two previous books, Hip: The History and Why Kerouac Matters: The Lessons of “On the Road” (They’re Not What You Think). Before joining the Times, he was a senior editor at Newsweek, editor in chief of Details, a reporter at Newsday, and a writer and editor at Spin. 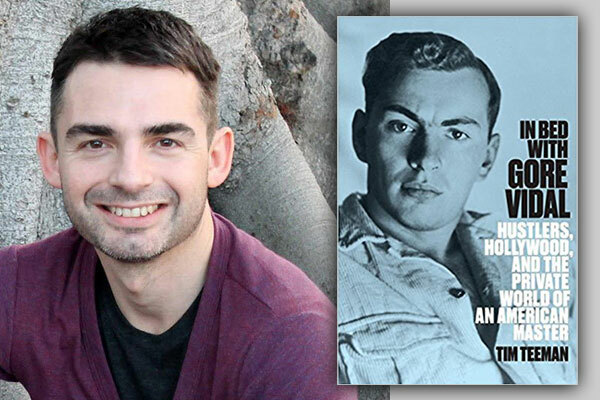 Gore Vidal, who died in July 2012, claimed there was no such thing as “gay,” only gay sexual acts. Tim Teeman interviews many of Vidal’s closest family and friends, including Claire Bloom and Susan Sarandon, as well as surveying Vidal’s own rich personal archive, to build a rounded portrait of who this lion of American letters really was away from the page. TIM TEEMAN is a multi-award winning Senior Editor and Writer at the Daily Beast, overseeing the site’s arts, culture, LGBT, style, and media coverage. He also writes across the site on many different topics. Tim has won a New York Press Club award and 3 Los Angeles Press Club National Arts and Entertainment Journalism awards for his Daily Beast writing, as well as an NLGJA award for profile writing, and been honored in the NLGJA’s journalist of the year and interviewer of the year categories. 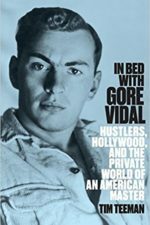 Tim’s first book, In Bed With Gore Vidal: The Private World of an American Master, was a #1 Amazon bestseller, and nominated for a Lambda Literary Award. 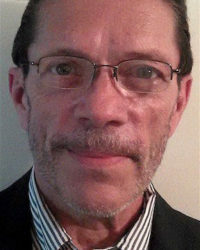 Tim previously worked for The Times of London for fourteen years, as Arts and Entertainment Editor, and U.S. Correspondent (a position which brought him to New York). He edited the U.K.’s LGBT newspaper, The Pink Paper. 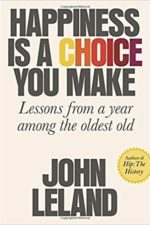 He has also written for the New York Times, Town and Country, The Observer (UK), and Attitude. 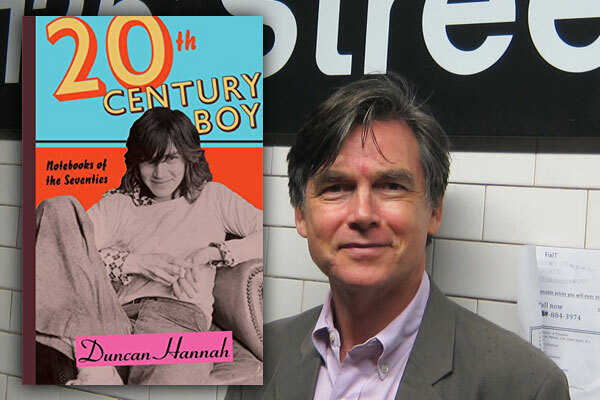 DUNCAN HANNAH arrived in New York City from Minneapolis in the early 1970s as an art student hungry for experience, game for almost anything, and with a prodigious taste for drugs, girls, alcohol, movies, rock and roll, books, parties, and everything else the city had to offer. He also happened to be outrageously, androgynously beautiful, attracting the attention of the city’s most prominent gay scenemeisters, who found his adamant heterosexuality a source of immense frustration. 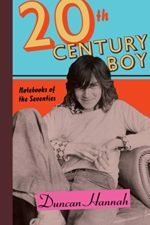 Taken directly from the notebooks Hannah kept throughout the seventies, Twentieth-Century Boy is a louche, sometimes lurid, and incredibly entertaining report from a now almost mythical time and place, full of outrageously bad behavior, naked ambition, gender-bending celebrities, fantastically good music and evaporating barriers of taste and decorum. At its center: a young man in the mix and on the make, determined to forge an identity for himself as an artist while being at risk from his own heedless appetites. A time capsule from a scary, seedy, but irresistible time and place. Frank Pizzoli’s interviews have appeared in The Brooklyn Rail, Gay & Lesbian Review Worldwide, Lambda Literary Review, Windy City Times. He is founding editor and publisher of Central Voice, an LGBT newspaper in south central Pennsylvania.